Egypt has asked Israel officials to mediate in a dispute over a controversial Ethiopian dam that will drastically impact Cairo’s share of the Nile’s waters, sources have told The New Arab‘s sister publication. The Egyptian government has requested Israel use its leverage in Ethiopia to ensure stalled talks over the latter’s controversial Renaissance Dam project resume, Egyptian diplomatic sources said on Thursday. “Egypt’s move towards Israel has come after decision-makers have found themselves in an unfortunate position, with Addis Ababa refusing to attend talks in Cairo after the last meeting collapsed,” the sources, who spoke on the condition of anonymity, said. The sources added that Egyptian officials have utilised recent communications, in which Tel Aviv has sought Egyptian mediation to end ongoing protests in Gaza, to make the request. Earlier this month, the foreign ministers of Egypt, Ethiopia and Sudan met in Khartoum but talks ended with no deal on the lingering dispute of access to the Nile’s waters. Egypt has called for another meeting in Cairo. Egyptian Foreign Minister Sameh Shoukry last week warned Ethiopia that a chance to end the dispute would be lost if it did not attend talks. “Egypt will not accept the status quo… and continues to defend the interests of its people regarding the Nile by several means,” Shoukry said. The top diplomat said that Egypt has yet to receive a response from Addis Ababa and Khartoum to its invitation to the tripartite meeting in Cairo. Cairo fears that once commissioned the dam will reduce water supplies from the Nile to Egypt. 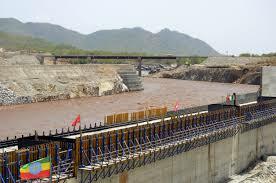 Ethiopia and Sudan are expected to benefit from the construction. Egypt’s parliament recently passed a law allowing the government to restrict the cultivation of crops that require a large amount of water, amid the fears over the country’s water security.